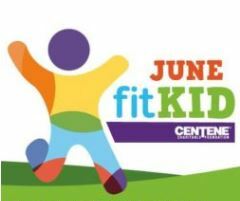 The Magic House is hosting their Centene Fit Kid Event on Friday June 3rd from 4 – 7 pm. Led by registered yoga teachers, children will have the opportunity to learn a variety of yoga poses structured just for kids. Kids 14 and under are invited to compete a fitness challenge upon arrival to earn Free admission to the event. Regular admission rates will apply to those 15 years of age and older. Visit the Events Calendar for more events this weekend.